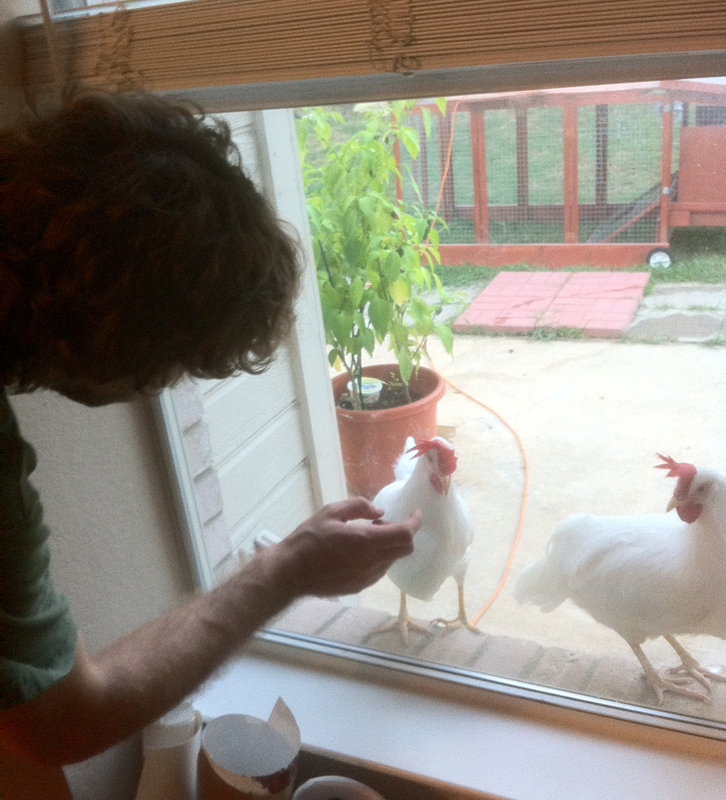 The chickens have a new trick – being super creepy! First, they learned how to run around all crazy and pumped when someone goes outside, hoping to be let out of their pen for some serious bug devouring around the backyard. Then, they learned how to lay eggs, which is awesome. Around the same time, they learned how to invoke terror in my cat. Now, they have learned how to be precious and creepy in one simple action. The new house has these great windows that open into the backyard. 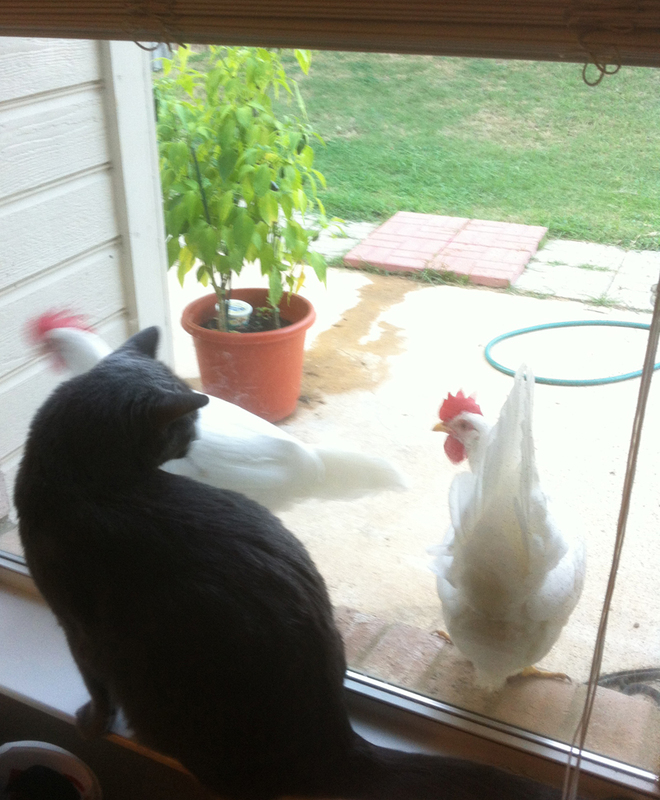 When either Nick or myself are at home, we like to open the blinds and let the chickens run free in the backyard, as long as we can keep an eye on them to make sure they are ok. The little monsters have decided to keep an eye on us instead. 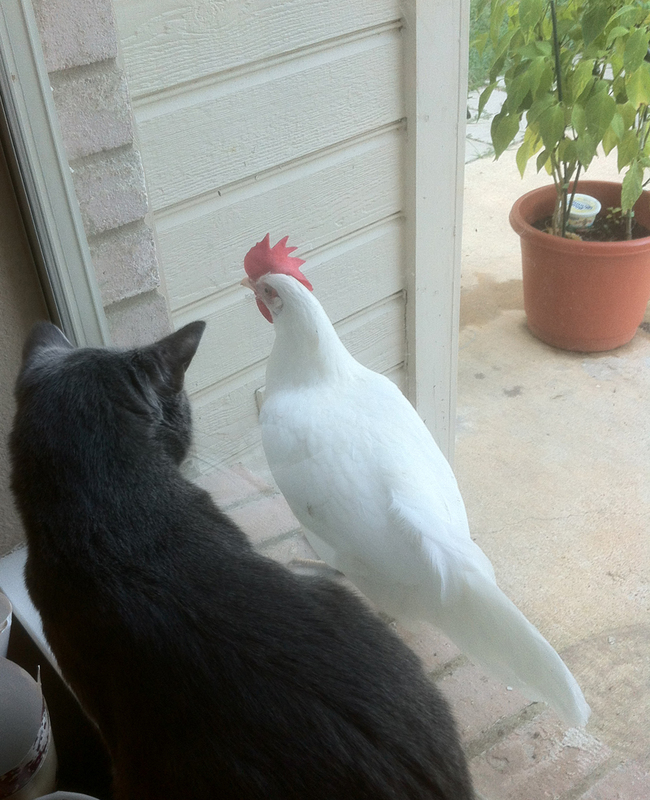 They jump up on the windowsill and just stare at us making little chicken sounds. They also like to hang out at the back door. It is a little strange to look over at the window and see a chunky chicken starring at you.